When the new BMW 5 Series came out, the world was enticed by what the M550i xDrive brought to the table. At the time of its release, the M Performance model was significantly faster than the old F10 M5 in the usual 0-60 sprint and did so with considerably less power under the hood. Even though BMW did make some improvements to the engine under the hood, the figures were not nearly as good as the ones of the 560 HP M5 we were comparing it with. When the F90 M5 came out, the 600 HP the uber-sedan has under its belt put the M550i even further away but where there’s a problem, there are also solutions. Today we’re looking at one of those solutions, in the shape of a tuned M550i from G-Power. 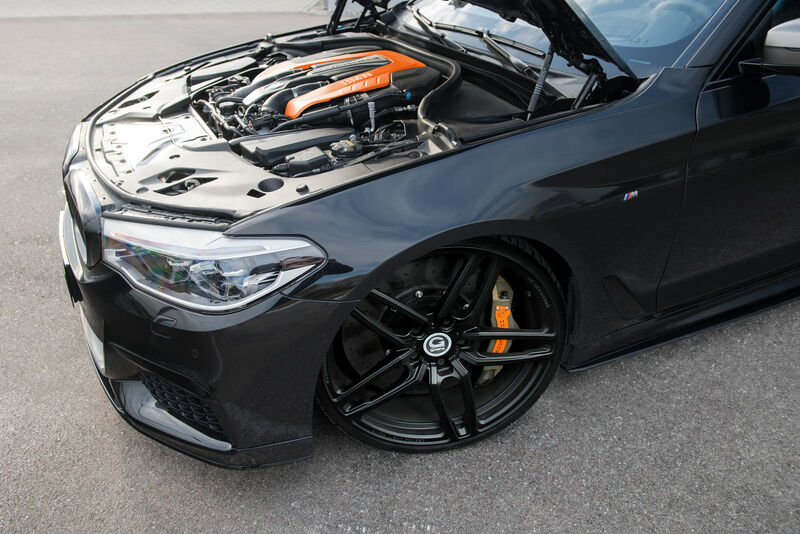 The German tuner brought the power output of the 4.4-liter twin-turbo V8 under the hood to 600 HP, on par with the F90 M5, if you will. What’s even more impressive is the torque figure, which towers over what the M5 or the M5 Competition bring to the table, with a whopping 810 Nm (597 lb-ft) compared to the M models’ 750 Nm (553 lb-ft) of twist. Chip in the fact that the M550i is only available with xDrive and the sprint from 0 to 100 km/h (62 mph) is now doable in a neck-breaking 3.2 seconds. 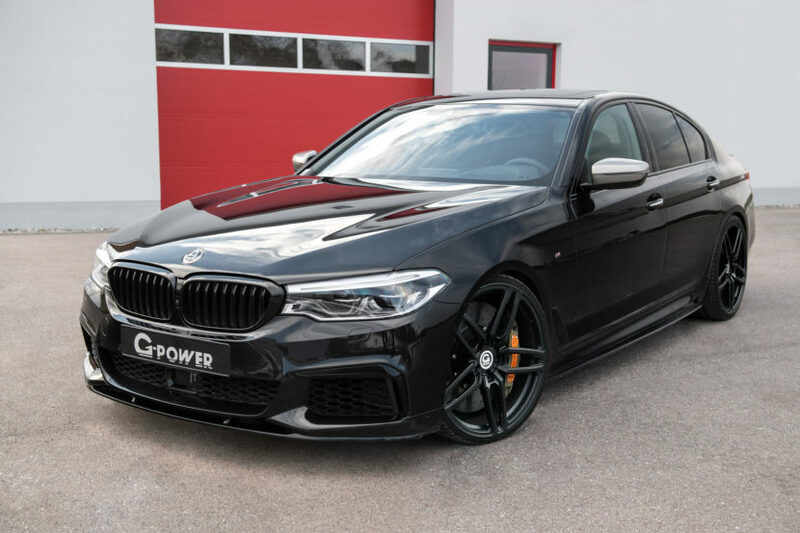 Furthermore, unlike the M5, which is electronically limited to 305 km/h (with the M Driver’s Package), the M550i from G-Power is now capable of reaching 320 km/h (200 mph). These new figures have apparently been attained via reprogramming of the factory engine control unit. The G-Power Performance Software V2 is one of the two main components that leads to the performance upgrade of the N63 engine. In addition, the tuner also installed a set of stainless-steel downpipes with sports catalytic converters. These are flow-optimized and have a reduced dynamic pressure, which results in more performance than the series part while also reducing thermal stress.